The arts institute's chair Dan Doctoroff called the billionaire "one of our city's greatest philanthropists"
After his $238 million penthouse deal triggered public backlash, hedge funder Ken Griffin found yet another way to make a splash in New York City. The Citadel founder gifted $25 million to the Shed, which amid drilling and work teams laboring to install escalators — and heat — celebrated its near completion on Wednesday. 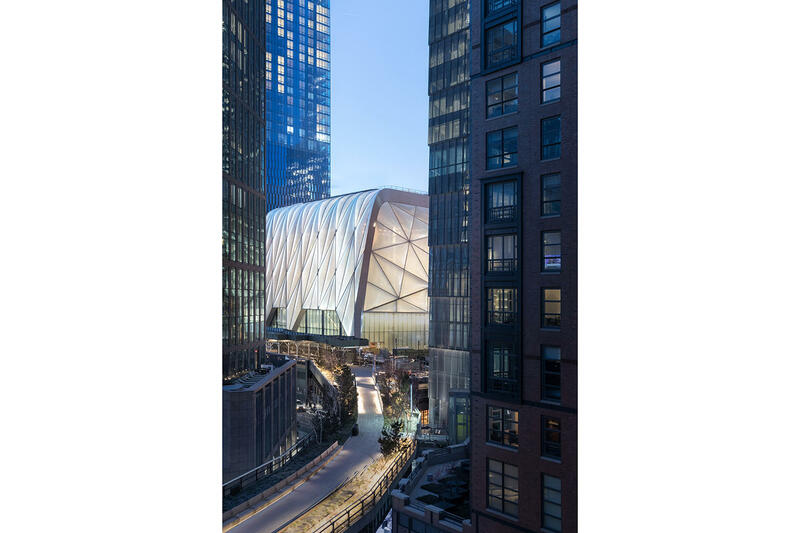 The roughly $500 million cultural center is the final piece of Related Companies’ Hudson Yards megadevelopment to open this spring. The Shed’s chairman Dan Doctoroff thanked major backers including Jonathan and Lizzie Tisch, Frank McCourt and Griffin — the latter of whom he called “one of our city’s greatest philanthropists.” Parts of the facility is named after each of them and all except Griffin spoke at the press event. The Citadel founder’s donation became known on Sunday during a dinner for the Shed’s founder, as first reported by Bloomberg. 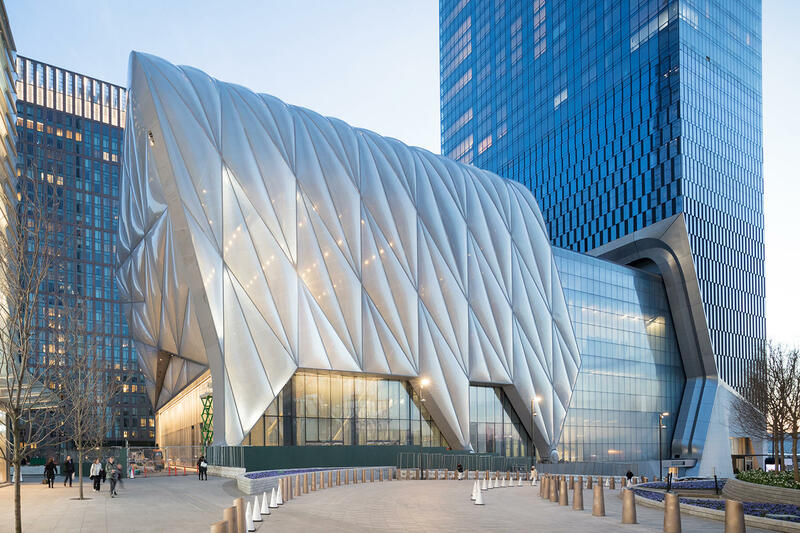 The gift was the result of a five-year campaign on Doctoroff’s part which ultimately won over Griffin after a tour of the 200,000-square-foot facility with its lead architect Liz Diller of Diller Scofidio + Renfro. Rockwell Group, led by architect David Rockwell, also collaborated on the project. 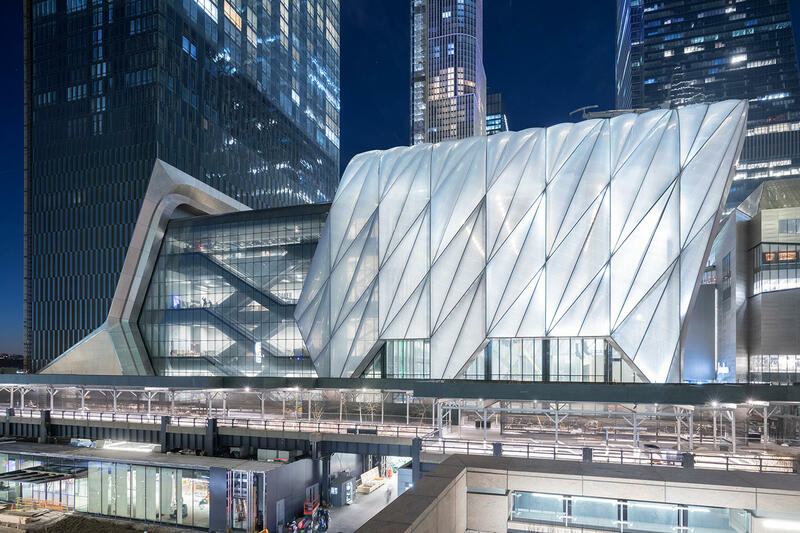 Griffin was referring to a movable outer shell that can enclose a 17,000-square-foot space for major performances or exhibitions that can hold up to 2,000 people. 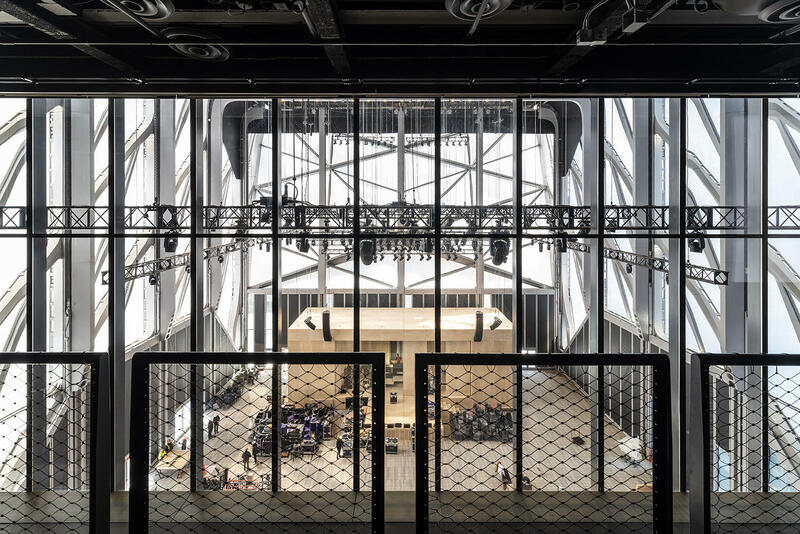 The space is supposed to be temperature-controlled (though it wasn’t as of April 3) and is named the McCourt, in recognition of Frank McCourt’s $46 million gift. Powered by an electric engine, the transparent shell moves with a mere 180 horsepower exerted — comparable to a Toyota Prius car, explained Diller. When the shell is fully retracted — a process which takes a five minutes — the space becomes a 20,000-square-foot, open-air plaza. In exchange for Griffin’s $25 million gift, a 500-seat black-box theater on the sixth floor will be named after him. 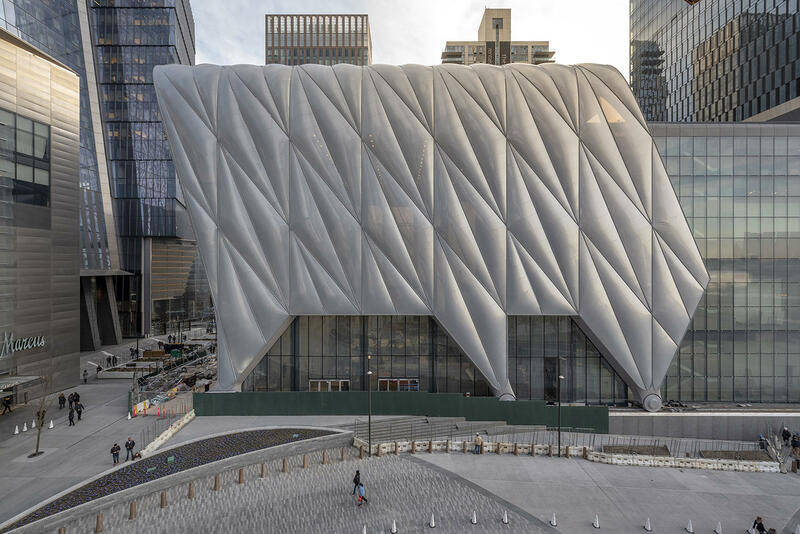 His donation brings the Shed’s capital campaign fundraising efforts up to a total of $529 million, just shy of the institution’s $550 million goal. Griffin’s recent 220 Central Park South purchase, which set a record for the priciest U.S. home sale, set off a call for a pied-à-terre tax, which ultimately resulted in the state passing a new mansion tax. 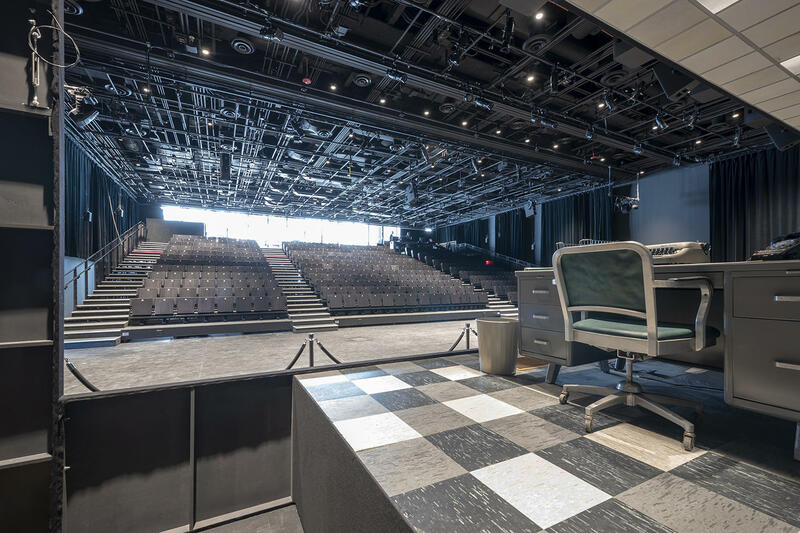 The Shed officially opens to the public on Friday April 5 with a concert series called “Soundtrack of America,” which will play in The McCourt space. M&T Bank is sponsoring the Shed’s performances.